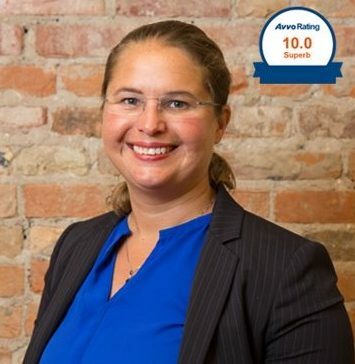 Best Attorneys of America® Lifetime Membership is for those Attorneys practicing in states that already have 100 Charter Members. Our Lifetime Members are extraordinary lawyers with an extraordinary level of legal expertise, competency, professional reputation, professionalism and ethical standards. This Membership has a one-time membership fee of $1,200 (No annual dues). Attorneys who do not accept Lifetime Membership (or if Charter Membership is Closed), still are invited to join as an 2019 Annual General Member. Lifetime Members and Annual Members are entered into our searchable attorney directory and can be found by name, location, and area of law by those seeking legal services from a respected and highly qualified attorney. 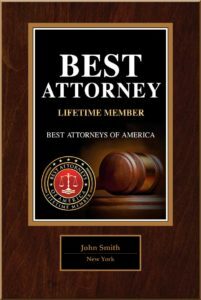 The Best Attorneys of America® Lifetime Member receives their personalized Plaque as a certified “BEST ATTORNEY” Lifetime Member of Best Attorneys of America®. 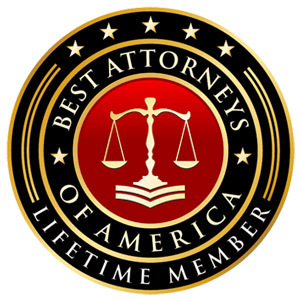 Best Attorneys of America® Lifetime Members are authorized to use our registered “BEST ATTORNEY” credentials logo on their law firm website, social media and similar purposes of publicity notifying the public and clients of their accolades based on their high standards and achievements to the extent allowed by your state’s bar rules of professional conduct.